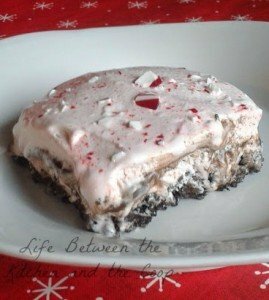 This Christmas Peppermint Ice Cream Dessert is sort of the sister to Grasshopper dessert recipe that I posted several weeks ago. 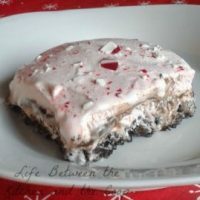 I love to make peppermint ice cream dessert around Christmastime (which is pretty much the only time that I see the peppermint stick ice cream at the store anyway!). The great thing is crushed candy cane on top and in the ice cream definitely give it the flavor of Christmas, but there is still hot fudge and crushed Oreo to satisfy your chocolate cravings! You will need to make this yummy Christmas recipe a day ahead of time, because it requires a few steps with freezing in between steps, but it is so worth the extra time! I know that you love it like we do! 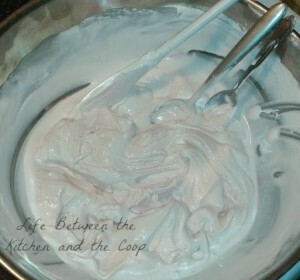 Soften ice cream and cool whip in a large bowl. While they soften, crush your candy cane (which will be sprinkled on top of the dessert) and your Oreos (which will be the crust) in separate bowls. Spray the bottom of a 9 x 13 baking pan with cooking spray, then press the crushed Oreo mixture into the bottom of it. Set aside. 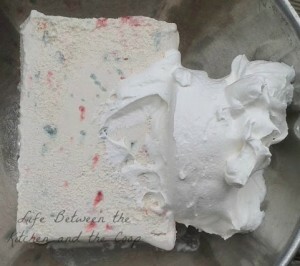 Once the ice cream and whipped topping have softened, mix them together well with a large spoon. Next scoop dollops of the ice cream/whipped topping mixture on top of the crushed Oreo crust. Gently press the dollops of the mixture with the back of a large spoon until the Oreo crust is completely covered with the ice cream layer. Only use 1/2 to 2/3 of the mixture because you will need to do another layer of it after the hot fudge. Once the Oreo crust is completely covered with the ice cream/whipped topping mixture, place the dessert in the freezer for 2 hours or until firm. Once it is firm, remove the lid from the jar of hot fudge and place the hot fudge jar in the microwave for 45-60 seconds. Once the layer is completely covered with hot fudge (use 2/3 to a full bottle), refreeze the dessert to cool the hot fudge for about an hour. Once the hot fudge is cool, soften the ice cream mixture again and then spread another layer of the mixture on top of the hot fudge layer. The hot fudge should be completely covered. Finally, sprinkle the crushed candy cane on top of the dessert. Put the dessert in the freezer until it is firm. Take it out of the freezer about 10-15 minutes before you are ready to serve it (makes it easier to cut). Looking for holiday dessert ideas? 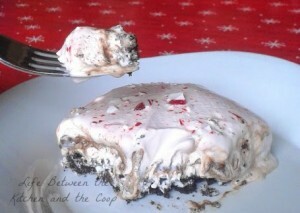 This Christmas peppermint ice cream dessert is the perfect dessert for your Christmas dinner! You will need to make this dessert a day ahead of time, because it requires a few steps with freezing in between, but it is so worth the extra time! Once it is firm, remove the lid from the jar of hot fudge and place the hot fudge jar in the microwave for 45-60 seconds. Once the hot fudge is warm, stir it and then spread it over the frozen ice cream mixture. The frozen mixture may soften slightly when you cover it with the warm hot fudge and and it might mix a bit with the hot fudge. 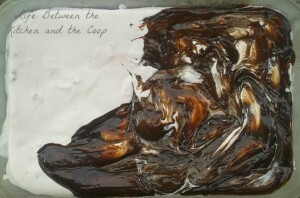 No worries…it doesn’t matter because that layer will be covered eventually with another ice cream mixture layer. Once the layer is completely covered with hot fudge (use 2/3 to a full bottle), refreeze the dessert to cool the hot fudge for about an hour. Once the hot fudge is cool, soften the ice cream mixture and then spread another layer of the mixture on top of the hot fudge layer of the dessert. The hot fudge should be completely covered. Sprinkle the crushed candy cane on top of the dessert. Put the dessert in the freezer so that it will harden. Take it out of the freezer about 10-15 minutes before you are ready to serve it (makes it easier to cut). This dessert takes some time because you have to freeze it between layers, so it is a good idea to make it a day ahead of time. PS…Remember to Follow me on Bloglovin’! Oh my goodness! This looks fabulous. Wow!! This looks so good. Do you make these awesome desserts a lot? I usually buy the icky cookie dough in the refrigerated section of the store. Lol! I think I will try this for one of the upcoming holidays. Thanks so much! I make dessert a lot more than I should, Michelle! And my waistline shows it! Unfortunately I have a real sweet tooth. I had some of this for breakfast this morning! Sooo good! Omg this sounds pretty yummy!!! Love anything peppermint!!! Just so yummy! I love gooey desserts. This looks fabulous. Thanks for sharing he recipe! This sounds so good. I can't wait to make this for my party. You will come home with an empty dish, I bet! Ooooo that looks so delicious :) I will have to try this sometime... it looks messy! Truthfully I should have frozen it a little longer before taking pictures, but my daughter and I were too excited to eat it! This is such a great idea for the holiday season! I know my daughter will love to make this with me. I appreciate this recipe! I love cooking with my kids...I warn you, though...your daughter will probably try to steal the Oreos! Mine does! This looks look delicious, I will have to try it out! Thanks for sharing! LOL I can live with that, Denise! I love peppermint ice cream, so this sounds really good! Thanks for sharing. I think I might have to try this during the holidays. That looks so good. Peppermint is one of my favourite things! I am going to make this with my daughter. I love the taste of peppermint. This is a really nice ice cream flavor that I would love because of the taste of peppermint and it's perfect for the Christmas holidays. This looks and sounds amazing! I love holiday themed desserts! 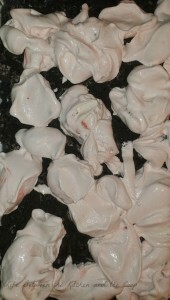 I love peppermint especially during Christmas! This is a really nice ice cream flavor! Oh yum! What a delicious sounding dessert. I know all my family would love this. ooh that looks so yummy. I never tried ice cream with peppermint but cannot wait to try it out now. Oh that sounds really good. Love peppermint especially this time of the year! It looks delicious and so festive. Thanks for sharing! Wow, this dessert looks delicious! I like that it's easy to make! Very easy to make. And even easier to eat! This looks so delicious. I love mint everything. I will have to try this great recipe out. I am sure my kids will love it. I bet they will, Lisa! Hope that you do, too! That looks so refreshing! I would love to try that one. Looks like ooey gooey goodness. That looks really good. Thanks for the recipe. You are welcome, Bonnie! Hope you love it! I love the mixture of textures when you have ice cream and something crunchy. Thanks so much! Sounds yummy, for a late night snack. Well an anytime snack, it's just late and I want some of this! lol...well you better make some then! 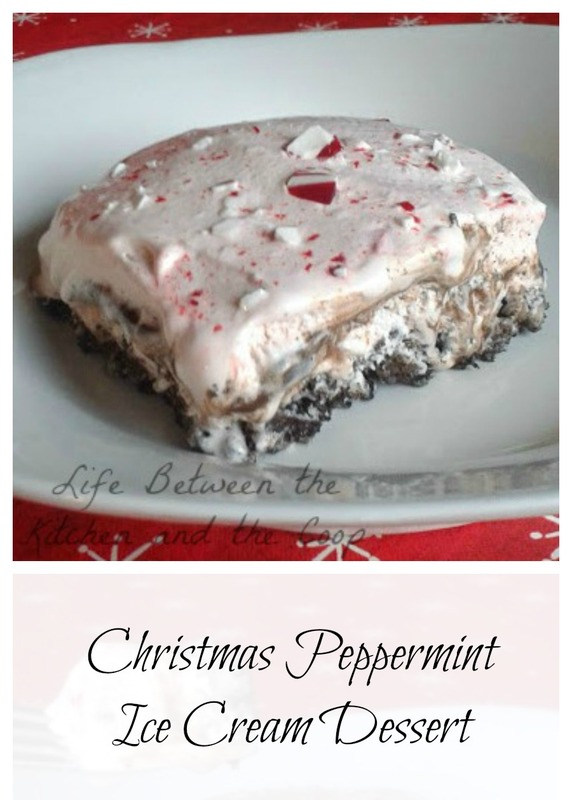 I love anything that has peppermint in it - looks really yumyum! So perfect for the holidays that are coming up. I'd love to try this dessert. Looks sinful and delish. Can't wait to try these myself. This sounds phenomenal. Stopping in from Blogging It Forward :) Be sure to stop in at Come Along Ponds and link up this post to share! Done, Megan! Thanks for the invite! What a cute idea. I may have to make this for my boys. Oooo this looks so yummy! I love peppermint anything and it tastes like Christmas! it does, doesn't it? love it! I would love an entire pan of this dessert! That would get me in the Christmas spirit immediately! Thanks for bringing it over to the Sunday's Recipe Wrap-up Link Party! You can't go wrong with it! Everyone at our house loves it! Love anything peppermint, this sounds so good! Thanks for sharing. This looks amazing! I'm not sure I'd end up sharing any of it if I happened to make it. o_o Slippery slope!